I'm Rebecca, so I'll dispense with the 'Rebecca is ...' thing, if that's okay. I herd words into various formats, from novels to poems to blogs, magazine articles, and tweets. 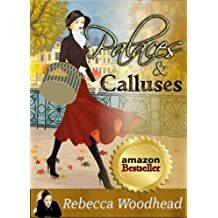 My first novel, Palaces and Calluses, has hit all kinds of best seller lists on Amazon. Don't you prefer 'bestseller' to 'best seller'? It's like 'website' and 'web site'. Who still says 'web site'? I'm going to keep using 'bestseller' and see if it catches on. Technically, it's correct. Amazon says 'best seller' though. Let's start a 'bestseller' movement. 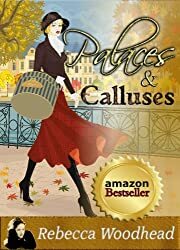 Anyhow, Palaces and Calluses hit bestseller lists in: the UK, the US, Canada, Germany, France, and Italy. Squillions of people have now gained pounds due to my irresistible descriptions of croissants. You're welcome. If Rock, the dog, isn't one of your fave characters in the book - even if you're not a dog person - let me know. You'll be the first. 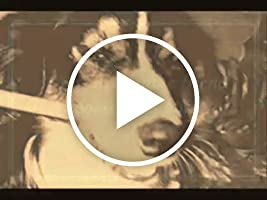 Rock's actually based on a real dog, who was called Rob. Splendid chap. I'm a columnist for Writing Magazine and The Small Business Owner Magazine. I'm a prize-winning social media addict. - Listed as the most influential woman in England on Google Plus, with one of the only verified UK accounts on the network.